Jesse Lee “Jiggs” Coker, 83, of Gaston, NC, earned his angel wings on October 6, 2018. 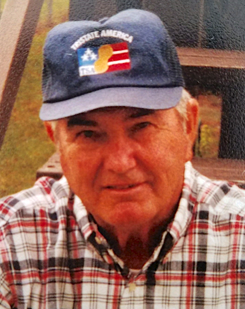 Jiggs was a U.S. Army veteran, an avid hunter and fisherman, and loved people and cook-outs. He was preceded in death by his parents; Wiley and Hazel Bradley Coker, sisters; Nat Covington (Roy) and Evangeline Swain (Robert), sister-in-law; Glenda Coker. He is survived by his wife; Linda Smith Coker, brothers; Wiley Coker Jr of Gaston and Greg Coker (Linda) of Henrico, niece; Kathryn Ely (Jeff), nephew; Thomas Coker (Andrea), and numerous other nieces and nephews, step children; Charlene Springer of Kitty Hawk, Bambie Upton of Asheboro, and Dixie Smith of Kill Devil Hills, seven step grandchildren; Christine, Abby, Samantha, Thomas, Casey, Cyrus, and Jesse. Special thanks to Michael Godschalk, M.D. for his professional care and concerns. Thanks also to his caregivers; Mrs. Annie, Maranda, and Miss Emma. Funeral Services will be held Wednesday, October 10, 2018 at 2:00 P.M. at Wrenn Clarke and Hagan Funeral and Cremation Service Chapel with Rev. Rick Russell officiating. Burial will follow in the Coker Family Cemetery in Gaston. The family will receive friends at the funeral home Tuesday, October 9, 2018 from 7:00 P.M. until 8:30 P.M.
Memorials may be made to the Wounded Warrior Project, P.O. Box 758517, Topeka, Kansas 66675 or the Shriners Hospital for Children, Attn: Office of Development, 2900 N. Rocky Point Dr., Tampa, FL 33607.